Children of all ages love to show up dad with our miniature version of the Easy Striker, called the Kiddie Strikers. 7' tall and less than 80 lbs., it is easy for one person to transport and set up. 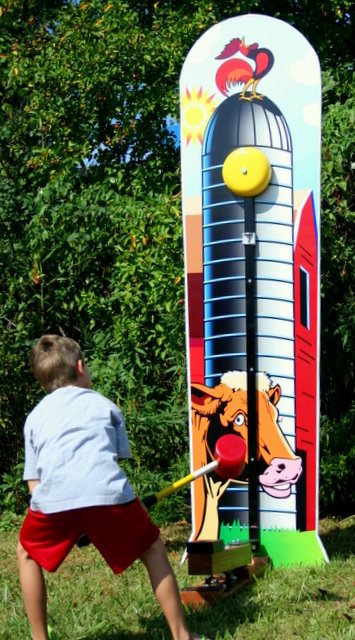 Whether you choose our Dinosaur, Caterpillar, Barnyard or Giraffe strikers, you'll find kids lining up to give it a try. And they won't go away disappointed either, because Twister Display's Kiddie Strikers ring every time! Size: Height: 6ft. Width: 2ft. Depth: 2ft.